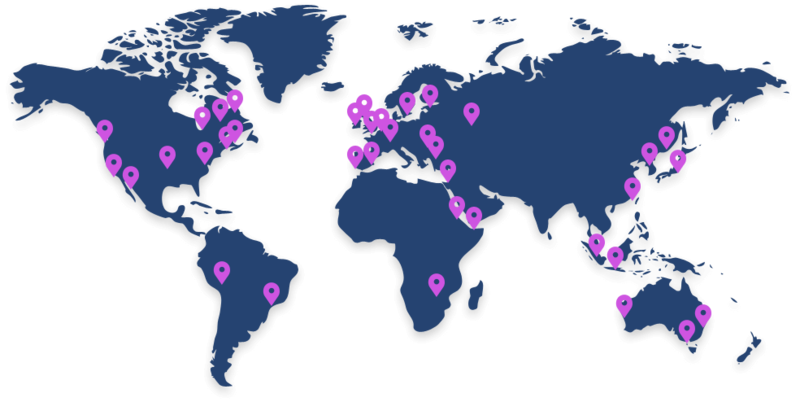 Easily and reliably scale your streams to reach global audiences of any size. Encode videos at your studio and send a single-source stream for live video broadcasting. By intelligently balancing your content delivery needs across multiple CDN providers, you mitigate the impact of performance glitches. Get the best performance for all traffic types, in all regions, all the time when you add CacheFly into your mix. CacheFly’s Smart Edge Platform delivers all the tools you need to control load balancing, caching and other CDN features. Well documented open source library, track proven on some of the largest websites. Pre-built apps ready to use in minutes. Use CacheFly to ensure that no matter the broadcast — your content is delivered quickly and reliably — without delay or timeouts. CacheFly’s scalable content delivery network is capable of handling all kinds of traffic surges, ensuring that your content is delivered with ease. Having to deal with outages is stressful enough, but not having the adequate support team is even worse. Our team of trusted security experts are on alert monitoring any issue to ensure you don’t experience any downtime. So nothing gets in the way of your content and your customers. Tap into China’s rapidly growing online economy – with only 59% of internet user penetration, China customers account for 35% of online global spending. With end-to-end support from CacheFly, most businesses deploy within 30 days. Switching CDNs shouldn’t be a headache. From trial to activation we’ll help every step of the way for a smooth deployment of your custom CDN environment. Our support team will know everything about your CDN configuration, with all its customizations, so we’ll fix any issue the first time. Let us worry about outages at 3 AM so you don’t have to. 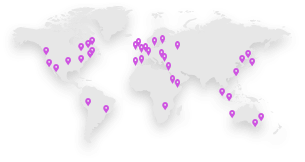 The CacheFly network is free of outage inducing headaches because our servers are strategically located worldwide near the internet’s major peering points. Placing your content closer to your end-users for the fastest, more efficient and reliable delivery of your content.